This small, charming, family hotel is located in a quiet, peaceful location in ikov, a district of Prague not far from the very centre of the city. 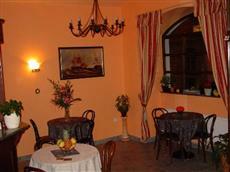 The hotel is just 1.5 km from Wenceslas Square and the very heart of the beautiful, historic Czech capital. Prague's excellent public transport system means the city centre is just 3 stops away by tram. With good services, a great location and comfortable accommodation at great rates, the Columbo is a great place to stay and enjoy this wonderful city. Check -in :14h-22hCheck-out:07-11hPlease,confirm us Your arrival time!! !Check-in after 22:00 is possible upon request. Please contact the hotel directly to make arrangements.